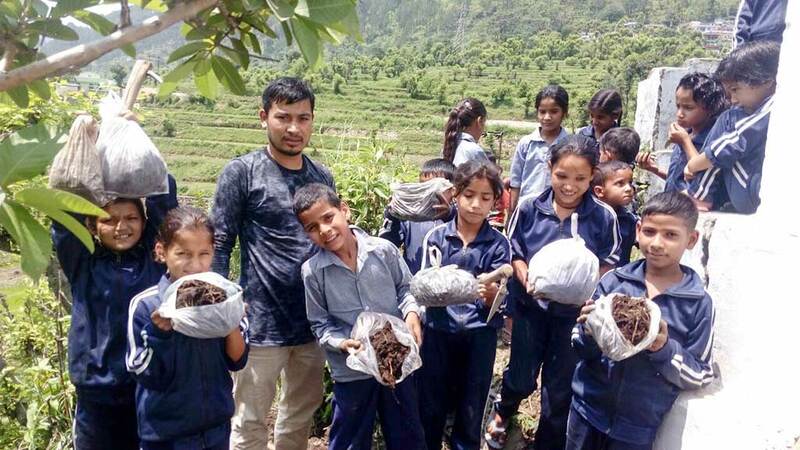 Primary school students in Dunda, Uttarakhand undertook a big task this week. They completely cleaned an overrun field at the boundary of their school yard and planted a new kitchen garden. The first day was spent preparing the land. Ashish, Amrita SeRVe’s Village Coordinator, and Vinod, AMMACHI Labs’ Nodal Officer, were there to guide the way. 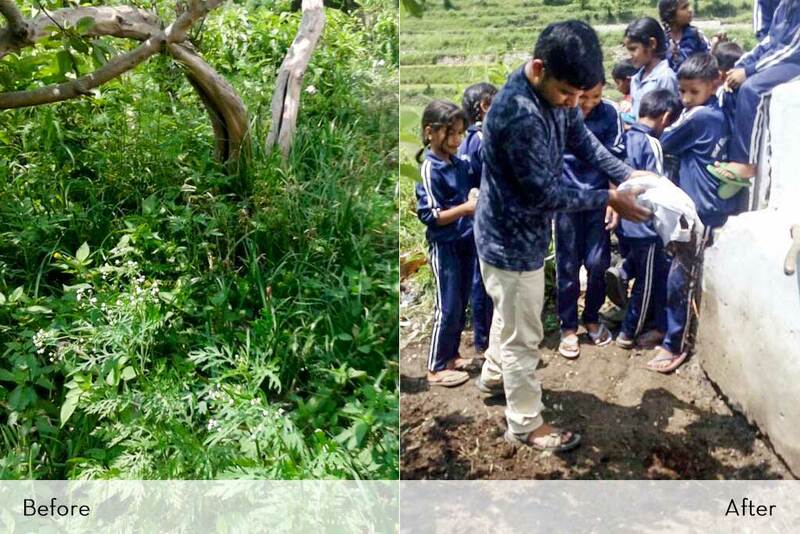 On the second day, children planted Bhindi (Okra) and Rai (a leafy, green vegetable). The children were inspired to learn that they will get healthy food from the kitchen garden, and that too from the work of their own hands. This most definitely strengthened their commitment to the work. It was easy for the children to see that they have found a way to replace the purchase of cheap vegetables from the market, which are often nonorganic and lacking in nutrients. Instead, they are cultivating something healthy and infused with natural vitamins and minerals. The children are making sure to water and weed as they await the results of these efforts. In fact, the children said that they see these plants as their own friends.